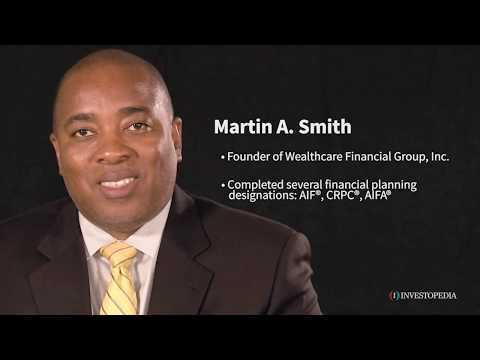 As a MD Fee-Only Financial Advisor, Martin is able to serve the unique needs of high net worth individuals and family offices with more breadth and depth than what is traditionally offered by wealth managers through his firms proprietary Wealthcare Financial Plan™. Martin has completed a M.A. in Commercial Real Estate Finance at Georgetown University. In addition, he has completed several financial planning designations: the Accredited Investment Fiduciary (AIF®) and Accredited Fiduciary Analyst (AIFA®) designations, as administered by Fiduciary360 and awarded by the Centre for Fiduciary Studies (CEFEX). In addition, Martin has earned the Retirement Planning Specialist (RPS®) certification, upon completion of the “AT RETIREMENT®” coursework; an educational program that was jointly sponsored by The Executive Education Department of The Wharton School of the University of Pennsylvania, and AXA Equitable, Inc. He has also earned the Chartered Retirement Planning Counselor (CRPC®) designation from the College for Financial Planning in Denver, CO.
Martin earned his Bachelor of Arts Degree in Legal Communications, from Howard University in 1992. He later joined A.G. Edwards & Sons as a Financial Advisor and was later promoted to the position of Assistant Branch Manager. Martin resides in Bowie, Maryland with his wife, Walida. Together, they have seven children. Annual percentage based on assets under management. Wealthcare Financial Group, Inc. is a Registered Investment Advisor. Answers about Wealth is a personal finance blog, written by Martin A. Smith. 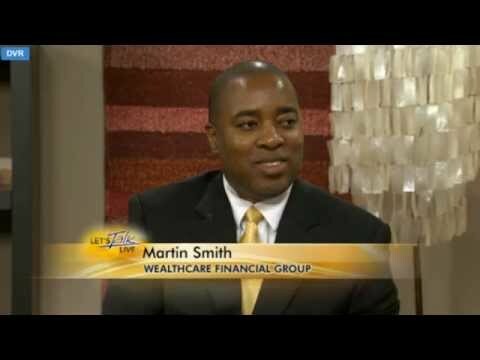 Wealthcare Financial Plans™ is a Trademark of Wealthcare Financial Group, Inc.
Martin A. Smith Discussing "Financially Cramming for College", on NewsTalk 8. There are many benefits to growing a vegetable garden during your retirement. Here are five ways retirees should protect their money during retirement. There are several things you can do to protect and improve your credit score. When you reach age 70.5 you will have to take required minimum distributions from qualified plans. 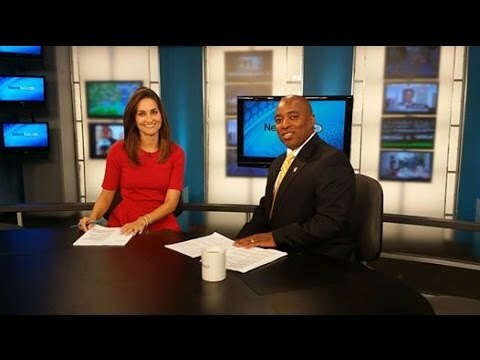 What kind of bond fund do you recommend: a series I bond, zero coupon bond, or intermediate term municipal bond fund? The first thing that I would like for you to do is read this concept piece entitled, "Bonds, Interest rates and the Impact of Inflation." Making a decision about which bond to purchase should always be made in light of the current economic environment of the United States. This isn't an easy answer because on the surface, I can (and will) provide you with some general information about how a Series I-Bond differs from a Zero Coupon Bond vs. an Intermediate Term bond. However, for a more prudent answer, one that takes into consideration your risk tolerance, income need, etc. I would have to know a lot more about your financial situation. Discount or Premium Bond? When the bond is either called or at the end of its term will it result in a profit from where it was purchased, or a loss? You mentioned that you are looking for an investment to go along with your stock index fund so that you will have a 70/30 asset allocation. That's great, but wait a minute! Which assets classes will be included within the 70/30 allocation. Also, which of the two (70% or 30%) will be the bonds vs. the stock index? Lastly, are you considering using just the S&P 500 asset class, or will you include other asset classes such as, small caps (Russell 2000, S&P 600), mid caps (S&P 400), etc? The selection of your asset classes are just as important -if not more- as the selection of your bond allocation by Issuer, Duration, Yield, Credit Quality and Coupon (if any). As you can see, simply giving you a quick recommendation truly is NOT in your best interest. The educational component is essential to your long term investing success, as it is to the security of your future retirement. I wrote a blog post on the subject of asset class diversification and I HIGHLY recommend that you read it. 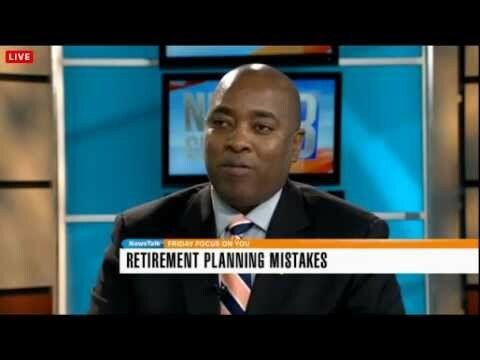 It is entitled, "Retirees Can Protect Their Retirement Money with Better Asset Allocation." I know that I have given you a lot to read, as well as to consider. I rather you be well educated than not! Proverbs 16:16 states, "How Much Better It Is To Get Wisdom Than Gold. And To Get Understanding Is To Be Chosen Rather Than Silver!" If you would like to speak further, please feel free to contact me. I am always happy to provide education and assistance. What is the difference between the death benefit and cash value of an insurance policy? Thank you for submitting your question about life insurance. The death benefit of a life insurance policy represents the "face amount" of the policy that will be paid out on a tax-free basis to whoever the owner or beneficiary of the policy is. Therefore, if you were to purchase a policy with a $1 million dollar face amount (i.e. "death benefit), your beneficiary will receive $1 million upon your death. However, the case value of the policy represents the portion of savings (or investments depending on the type of policy that you own) that is funded by a portion of your insurance premiums. The cash value could compound based on an underlying index rate, or sub-account that is invested in mutual funds. Again, this would depend on the type of policy. The cash value grows on a tax deferred basis and can be withdrawn in the form of a "policy loan" on a tax free basis. You would have to discuss the actual particulars of taking a policy loan from your insurance carrier because if you withdraw too much, then you might inadvertently cause the policy to lapse. Therefore, be careful with taking policy loans and ALWAYS request a quarterly or annual summary statement so that you can review how well (or not) the policy is performing, etc. It would be helpful if you spent some time speaking with an insurance professional about your life insurance needs. Be careful that by contacting an insurance agent, depending on the company/agent that you contact, he/she might try to convince you to purchase additional insurance, or some other type of financial product. Otherwise, I hope I have provided a suitable answer to your question. Thank you for submitting your question. First things first, I would suggest that once you receive the inheritance, deposit the funds in the money market of a brokerage account and just leave it there for a little while. There has been a lot of research conducted on the topic of "Sudden Wealth Syndrome." Yes, this may sound funny, but it is a real state of mind that many people who suddenly receive a significant amount of money become susceptible to. What Sudden Wealth Syndrome means is that when someone is not ready to receive a large sum of money, they usually spend it, give money away to family or friends, make impulsive purchases, etc....they tend to do everything except what you are doing -which I commend you for- which is to seek professional advice from a trusted financial advisor. After you deposit the funds in a money market account and have spent some time interviewing financial advisors to make a final determination about who you would like to hire you, then you should sit down with your new financial advisor to develop a written financial plan. Some financial advisors will charge you for preparing a financial plan for you, while other financial advisors offer FREE Financial Planning. Having a financial plan prepared will help you to add future context to whatever your financial values, needs are goals are. The "Plan" will address taxes, budgeting, retirement, estate planning, investments, goal planning, etc. In my field, I am not alone in believing that starting with a written financial plan is one of the most important things that you can do in order to protect yourself financially! I HIGHLY recommend it!!! Lord willing, the world will be there for you to travel after you come up for air from doing some good financial planning. Actually, your financial advisor is going to do most of the financial planning work. He or she will ask you a boat load of questions, or simply have you complete a paper questionnaire. However, since you are 24 years old, I can't imagine that you will have a lot of information to add to a financial planning questionnaire. Therefore, the Plan will probably focus more so on tax mitigation, goal planning, investing and structuring an income for yourself that you cannot outlive. If you have any further questions, please don't hesitate to reach out to any of the financial professionals on Investopedia who I am sure will be more than happy to receive a phone call, or an email from you! Do lower interest rates increase investment spending? The impact of lower interest rates is usually experienced in the housing market as people are incentivized to purchase a house or an investment property. Also, a reduction in interest rates might have a positive impact on capital spending as companies may consider lower interest rates as good timing to upgrade equipment, improve manufacturing, and hire additional employees. However, I would not say that there is a definite "cause & effect" relationship between lower interest rates and increased investment spending, I believe it depends on whether the investment spending is being done by a person or a corporation. In addition, from an investor's perspective, whether a reduction in interest rates will increase capital spending also depends on what side of the market the investor is on. Some investors are "bullish" and others may be "bearish." Therefore, a reduction in interest rates might not make a bearish investor too happy since he/she is betting that something will cause the market to fall. Thanks for your question. Should I be comfortable with Edward Jones's new Guided Solution program? Hi, and thank you for taking the time to submit your question about Edward Jones's Guided Solutions program. The DOL's fiduciary law (aka "Fiduciary Rule") was set to take effect in a few months, although this could change now considering the new Administration. The Edward Jones representative was correct by stating that the new legislation places additional fiduciary responsibility on Broker/Dealers and financial advisors. One aspect of the Rule is the 'reasonableness' of the costs associated with investing through a brokerage firm and/or investment advisor. I don't agree that the rule in itself should impose a set "fee" (e.g. 1.35%, 2%, etc.) that you will have to pay. Generally speaking, fees should be reasonable, not excessive. I also believe that fees must reflect the value that you are receiving from the firm where your portfolio is being managed. One advisor may charge 1% and another might charge 1.25% to manage the same amount. The investment representative is supposed to provide you with a prospectus and/or "ADV-2" document that relates to the Guided Solutions program. Basically, merely saying "laws have changed...fill out additional paperwork and accept our fee," falls short of the responsibility we have as financial professionals. I am not knocking Edward Jones, however, since there are literally thousands of "Jones brokers" around the country, you could work with whoever you want, including hiring an independent Registered Investment Advisory firm, such as Wealthcare Financial Group, Inc. You are doing the right thing by reaching out to a number of financial advisors on Investopedia. You will receive a wealth of helpful information and advice on this site! Lastly, whoever you hire should prepare a comprehensive financial plan for you that is supposed to inform the investment advice and/or other personal finance related recommendations given to you. At the end of the day, the solutions that we provide to people such as yourself is supposed to help you achieve your values, needs and goals.